Touch Foundation strengthens the entire health system by tackling the non-communicable diseases of hypertension and rheumatic heart disease in healthcare workers and the mothers and newborns the healthcare workers serve. Non-communicable diseases (NCDs), also known as chronic diseases, are not passed from person to person. They include cardiovascular diseases (like heart attacks and stroke), cancers, chronic respiratory diseases, and diabetes. They disproportionately affect low- and middle-income countries, where nearly three quarters of NCD deaths—28 million—occur. Though most NCDs are preventable, behaviors like tobacco use, physical inactivity, unhealthy diet, and alcohol consumption can increase the risk of NCDs. Hypertension, also known as high blood pressure, is one of the major risk factors for heart disease and stroke. 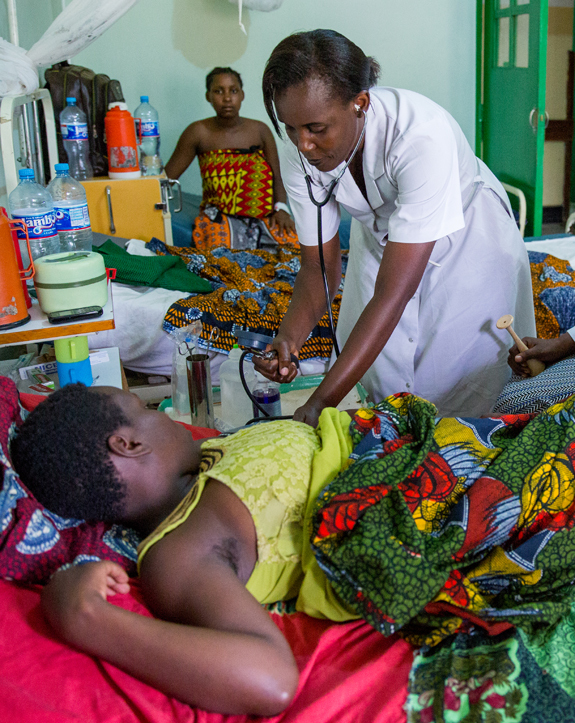 Sadly, these conditions are among the leading causes of death in Tanzania as many adults have untreated hypertension and other risk factors like physical inactivity. Hypertension in pregnancy is especially dangerous to the mother and her child and is responsible for 16% of maternal deaths. 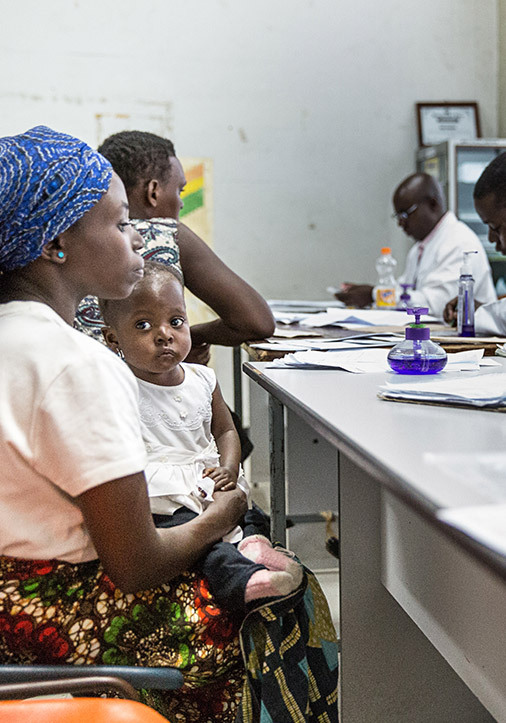 As part of the multi-country Healthy Heart Africa program spearheaded by AstraZeneca, we are addressing these preventable deaths in Tanzania to support the country’s action plan on NCDs. We know that quality healthcare begins with a skilled and productive health workforce. Therefore, we are training and empowering healthcare workers to manage their own health better as they are themselves at disproportionate risk for NCDs. This will enable them to provide a higher standard of care to their patients, especially pregnant women. Leveraging the government and health facility partnerships and innovative referral and transport system in our Mobilizing Maternal Health program, we will educate, screen, and refer for treatment 50,000 pregnant women and 1,800 healthcare workers over three years. Of the non-communicable diseases, cardiovascular complications account for the greatest number of deaths in developing countries. We are working with our flagship partner Bugando to improve their capacity to serve cardiovascular patients. We are also part of Rheumatic Heart Disease Action Alliance, a coalition of organizations leading a global movement to reduce the burden of rheumatic heart disease. Rheumatic heart disease is a preventable, treatable form of cardiovascular disease that affects over 32 million people around the world. It affects the world’s poorest, most vulnerable populations and imposes heavy costs on the health systems that can least afford it. Rheumatic heart disease is the most commonly acquired heart disease in people under the age of 25 and often begins in childhood as the result of untreated strep throat. If left untreated, it can develop into rheumatic fever. Rheumatic fever damages heart valves, resulting in rheumatic heart disease, which can cause heart failure, stroke, or cardiac rhythm abnormalities. Women with rheumatic heart disease are at particular risk of significant illness or death during pregnancy and labor, since symptoms of heart failure are often confused with symptoms of late pregnancy. Building upon our work in maternal and child health in the Treat & Train Network, we are reducing preventable cardiovascular deaths by improving cardiovascular health services through staff training, upgrading equipment, and screening of pregnant women for rheumatic heart disease.